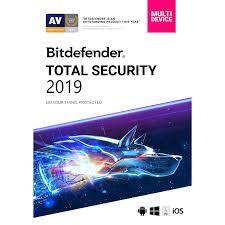 After payment, you instantly receive a non-activated key Bitdefender Total Security 2019 180 DAYS 5 devices. Available on MacOS, Android, Windows 10, Windows 8.1, Windows 8 and Windows 7. - Register a new account or login to an existing one. - Click on the "My Subscriptions" tab on the left side. - Then click on the "activation code" in the upper right corner and enter the code. - You can see your subscription on the "My Subscriptions" tab. The key can also be activated during the installation of the program on the computer. if you already have a program installed you need to click on the panel on the left "account" - then below "activate the key"
if you still have valid days from the old subscription - create a new account and enter the key. Bitdefender Total Security 2019 provides several levels of protection against extortion. It uses behavioral threat detection to prevent infections and protects your most important documents from extortion encryption. The new fix feature of the Ransomware Remediation acts as a fix layer that protects data, such as documents, images, videos, or music, from any kind of attack through extortion. Bitdefender Total Security 2019 gives you better protection against Internet threats in Windows without dragging and dropping your system resources. He was named AV-Comparatives “Product of the Year” and was awarded the best protection and the best AV-TEST performance. By purchasing this product, you can simultaneously protect 5 devices from any viruses, trojans and ransomware. If you have that something does not work or went wrong, do not rush to leave negative feedback, it does not speed up the decision problemmy only exacerbate it (getting into the black list with the inability to make further purchases) Touching upon us by internal communications, available on the page paid the goods and we will help to solve your problems. There are problems, there is correspondence with the seller. To receive the discount, the buyer need at the checkout page enter the promotional code, check it by reading the information on the amount of discount, and then activate and continue to pay its accounting. Уже второй раз беру, все гуд!